What was the size of the potential market for printed material in this period? Some evidence of literacy, or at any rate the ability to sign one's name can be gleaned from the protestation returns. In 1641 the male population of Devon aged 18 or over was required to sign a protestation of loyalty to Parliament. For 42 of the 468 parishes in Devon the original returns survive, and these show that 70 per cent of those signing did so with a mark (Stephens 1975). This indicates that only 30 per cent of adult males in Devon possessed even the basic skill of being able to sign their own name. Even in Exeter some churchwardens were reduced to making a mark instead of a signature. The literacy rate among women would have been still lower. There were probably about 35,000 families in Devon at that time, so it can be calculated that there was a potential market of less than 10,000 throughout the county of Devon for any printed item. Even had printing been permitted in the provinces, it would have been a foolhardy printer who hoped to make a living from such a thinly scattered market with equipment geared to produce hundreds of copies of each title. The bookseller who could obtain a few copies of any title from London was in a much more viable position. Probate inventories provide some indication of the extent of book ownership in this period. Unfortunately almost all those for Devon were destroyed in an air raid in 1942 but they survive and have all been transcribed for the small town of Uffculme a centre of the wool industry to the north-east of Exeter. Uffculme was a peculiar of the Diocese of Salisbury, which explains the survival of its probate records. The 17th century was a period of growth for the settlement, which expanded from about 800 souls in 1600 to nearly 2,000 in 1700, a figure which remained relatively stable for the next two centuries. Between 1576 and 1733 2033 persons were buried in Uffculme within the categories of those likely to make wills. Probate records of some sort survive for 507 of these and include 249 inventories. The young, apprentices, journeymen and those with small estates were less likely to make wills and only one in five are made by women. We are therefore looking at the wealtheir section of the community. In Uffculme such evidence for literacy as can be gleaned from the ability to sign one's name indicates an overall increase from the 17th to the 18th century. 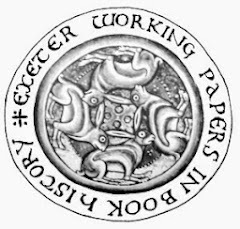 Unfortunately the original Protestation Returns for Uffculme do not survive but in the 17th century about half of testators signed their wills and in the 18th century about four in five. There was certainly an opportunity to learn to read. The vicar Richard Matthew ran a school - the school house is mentioned in his inventory of 1686 - and in 1701 Ayshford School, a grammar school, was established in Uffculme. During the 17th century about 15% of Uffculme probate inventories mentioned books (30 out of 207), a figure with a tendency to rise as the century progressed. An analysis of the value of the estates bears out the assumption that ownership of books was more widespread among the wealthier part of the community. The average Uffculme estate was valued at £79 between 1649 and 1700 and of those where books were mentioned the average value was £182. Corresponding figures for the period up to 1648 are £40 and £63. Another surviving group of inventories, edited by Margaret Cash, was preserved in the records of ecclesiastical courts where they were the subject of legal cases. Here the average value of the estates was £233 between 1649 and 1700, almost three times that of Uffculme and the proportion mentioning books was higher at 31% for the 17th century (72 out of 231), more than twice the level of Uffculme, rising to more than 40% at the end of the century. As would be expected, the book which is most regularly mentioned is the Bible, but prayer books and other devotional works also feature. Only rarely are other types of book mentioned. The valuations attached to collections of books must be treated with caution. In the later 17th century the valuation of a Bible can vary from 1/8d for an old Bible to 10/- for a large Bible. Where numbers of books are specified, nine books are valued at 11/- in 1677, in 1674 one Bible and seven books are valued at £1/10/-, and in 1686 five Bibles and ten books were assessed at £1/10/-. A valuation of £2/-/- could therefore represent a library of perhaps two dozen books but there were very few households that could boast a library of even this modest size. In Uffculme there were only two vicars, John Seagar, whose books were valued at £10/-/- in 1594 and Richard Matthew with a library worth £20/-/- in 1686. In 1670 the Uffculme yeoman John Mills had in his study "twenty books a Clocke & other smale thins" valued at £3/-/-. Elsewhere too it is mainly the clergy who boasted significant collections of books: for example Roger Beare of Morchard Bishop with books valued at £20/-/- in 1637, John Potter of Newton St Petrock with £10/-/- worth of books in 1649 or Robert Harte of Colaton Raleigh who had books to the value of £20/-/- in the chamber room over the entry in 1684. Some gentlemen also had libraries, for example William Duncombe of Kingsbridge with books in his study valued at £25/-/-. In Huish there is a series of inventories for the yeoman family named Yeo. In 1641 Leonard Yeo left £12/-/- worth of books in his study, in 1672 George left £3/-/- value of books and in 1687 Leonard left £12/-/- worth of books plus a statute book in the chamber above the wash house. Clearly there were instances where there was a strong family tradition of book ownership. Yet inventories may not tell the whole story. Such terms as "all other trashe" or "other old stuffe not seene and forgotten" may include books. In 1696 the assesors of the estate of George Good, yeoman of Stoke Canon, assessed at 5/- "one lattin watering pot, fower rotten corn baggs & some old books". The presence of inkhorns, sandpots, desks and scriptories (escritoires) betray literacy and the term "debts on the books" indicates the keeping of written accounts, as do "a double sett of papers" recorded for the widow Elizabeth Hellings of Culmstock in 1669. The inventory of the Uffculme shopkeeper Samuel James in 1682 includes "horne bookes & mattins bookes" valued at only 1/6 and many smaller publications, such as almanacks and other popular and educational items, may not have been deemed worth listing. Certainly books did not figure as highly as some other objects in the estimation of their owners. There are rarely mentions of bequests of books compared to rings, spoons, pewter, clothing or modest gifts of money. In 1658 John Trickey, weaver of Uffculme, left his Bible, valued at 2/- to his son William, in 1686 Richard Matthew, vicar of Uffculme, left his considerable library, valued at £20/-/-, to Roger Grubham of Kentisbeare but these are exceptions. Nor is the presence of books in a house necessarily evidence that they were read. William Escott, tailor of Uffculme is one person who marked his will rather than signing it although he owned a Bible valued at 2/- in 1700 (Devon inventories 1966; Uffculme wills 1997).